A year ago last week, I started work here at Level 10 Fitness in Vancouver. Its been a great first year of work and I wanted to write a quick post about some of my experiences. It should be noted I started writing and after a few pages of me blabbering I realized no one would care to read the detail I wrote things in. So I have summarized things into 5 (plus 2 bonus) things I learnt/experienced in my first year that may help new graduates at the beginning of their first year out. Starting off slow is OKAY. in fact I would recommend it most new grads. Lots of people will start at super busy clinics seeing 20 people a day within their first month. I started off probably slower than anyone I know with only seeing ~5-8 people a day for months. Even now I only see ~16 people a day max and typically more like 10-12. Starting slow gave me a lot of time to spend with patients and lots of time to think things through. This was extremely helpful in the learning process, which is crucial in the first few months and first few years of a career! Marketing tip: Don’t just go around town handing out business cards to various organizations. OFFER them something! I did the above and got 1 patient from dozens of 5 minute meetings and hundreds of business cards being handed out in my first month. I then realized that if you are willing to put in the time to help people they will give back to you in abundance. Help out sports teams, on your own time offer a few free sessions to people who are well connected and will refer many patients, and get yourself involved out in the community. A focussed effort in this industry works better than a grenade approach. Care: Building upon the last point…show people you care in clinic! If you don’t have a patient after your 30 minute appointment is over, spend the extra 5-10 minutes with a patient. It will be greatly appreciated. Email your patients to see how they are doing after a few days if they aren’t booked in for another week. If someone refers a patient to you, send them a thank you email or phone call. Put in the effort to do the small things and it will pay off. You are going to have some failures. You aren’t going to get everyone 100% better in 2-3 visits like you might see some people post about. Sure it happens sometimes, and sure maybe there are advanced clinicians who do really great things. However, this is not going to be you in your first year and that is okay. I heard a made up stat from a colleague that goes like this: 1/3 of patients will get better regardless of what you do, 1/3 of patients will get better if you do the right things, and 1/3 of patients are likely going to struggle with a full rehab. I don’t think that is exactly right, but the premise is good. I think a 20:60:20 ratio might be a bit more realistic. The more experience you get, the better the ratio will become, and you will do the “right” things more often. You aren’t going to get it all right in your first year. Just stay focussed and keep learning and trying your best with each patient! Learn from Strength and Conditioning. Before becoming a physiotherapist I was involved in the strength and conditioning world for 5 years. I have found this experience invaluable in the transition to physiotherapy. Watching how people move and maximizing their performance day in and day out provided many transferable skills to being a physiotherapist. I was lucky to have this background and know many new physiotherapy graduates can feel intimidated with exercise prescription coming out of school. My recommendation if this is the case, is to dive head first into learning more about strength and conditioning. I truly believe that physiotherapists can learn just as much from strength coaches as we do from rehab professionals. There are countless resources and quality blogs out there to learn from. Sure some of them might be a bit more on the meat head side than some may like, but there is still plenty to learn from each article. Try to read at least one educational article a day. Note: Buzzfeed articles don’t count. Bonus point #1: I was messaging a colleague the other day and were both talking about our first year experiences. We both talked about how some days we feel like all star physios, some days we feel like we have been working the one year as we have and sometimes a patient will still come in and you will feel like it’s day 1 all over again. One thing I mentioned that I have been feeling is the following: As long as you are putting in quality time with your patients (20-30 mins, not rushing around like a mad man), are mostly using manual therapy and exercise prescription as your primary tools (limited modality use, except needling), get involved in continuing education, and actually care for your patients beyond just showing up, seeing them and picking up your pay cheque at the end of the month….you are likely doing better than half of physios out there regardless of experience, as sad as that may be. So don’t get down on yourself! As long as you are trying to improve day in and day out, more success will come! Bonus point #2: Don’t lose your passion!!! I remember messaging “the manual therapist” Erson Religisio III about a year ago on a few different topics and we had a small conversation about something I think is important. Lots of new grads leave school thinking that they are going to come out of school and become manual therapy/exercise prescription stars. Unfortunately, being a new grad they are not in the best position to be hired at institutions that may support this approach. So they get hired at a clinic that wants them to see 4 people an hour, put 2-3 modalities on each patient, and work them into the ground after the first few years. They lose their passion for patient care, get used to the system they are in, enjoy the job security and get stuck in the system as the slowly climb the “corporate ladder”. I use the word corporate ladder, because organizations like these are more business focussed, often run by business men rather than physiotherapists. Don’t lose your passion!! Even if you are forced to work at an institution like the above out of school, keep your eye on the prize. Know that it can be a short term work solution, but there are better possibilities out there. Continue to learn as much as you can and stay passionate about good work. It is out there and as I talked about in one of my previous posts, I think our generation of professionals have to be the ones that make the shift towards more physiotherapist run clinics, with patient centered treatment. We can’t settle for mediocrity in our careers. 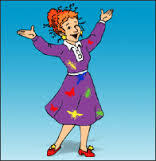 As Ms. Frizzle used to say on The Magic School Bus, take the first year to “Take Chances! Make Mistakes! and Get Messy!”. It really is an extension of school with tons of learning opportunities that await! Hope you enjoyed the read and would love more additions to the list from my classmates to share with incoming first years that may help them. Thanks for reading!